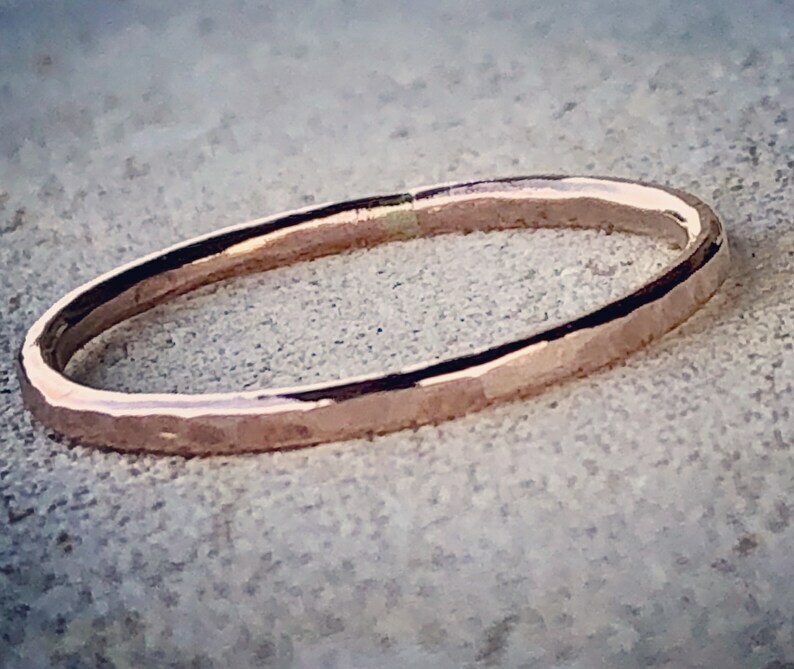 This solid 14k Rose Gold can be your beautiful wedding ring or as a simple, minimalist fashion statement. I make these out of solid 12, 14, 16 or 18 gauge 14k gold and hammer the outside for extra shimmer and added strength. This is as thin as I will go — any thinner is just asking to be broken! Prefer this in Yellow or White gold? Easy! Just convo me and we’ll get it done. Please allow 5 business days until I ship your item, but I always do my best to get it to you sooner.